Triste by Antonio Carlos Jobim. Arranged by Paris Rutherford. SATB. Jazz Chorals. 12 pages. 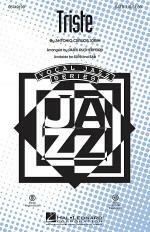 Published by Hal Leonard (HL.8749199). The music of Brazilian composer Antonio Carlos Jobim is the ultimate in sophistication and style. 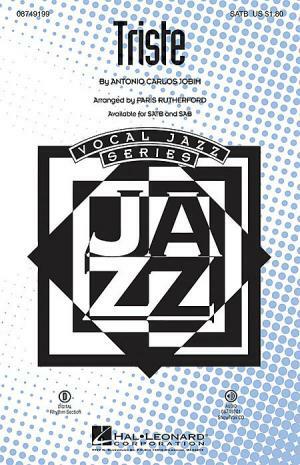 Set over a smooth bossa nova groove, this arrangement will challenge and inspire your singers. Available separately: SATB, SAB, ShowTrax CD. Rhythm Section parts available digitally (pno, gtr, b, dm). Duration: ca. 3:00.